This entry was posted in bath and body, candle making supplies, Fragrance Oils, Natures Garden, Soap making supplies, wholesale fragrance oils and tagged aroma of vanilla, bath and body, bath and body products, candle making, candle making supplies, Crafts, diy, fragrance, fragrance oils, homemade, homemade candles, homemade soap, how to make candles, how to make soap, how to use vanilla buttercream fragrance, how to use vanilla buttercream scent, making candles, making soap, natures garden, smells like vanilla, soap making, soap making supplies, vanilla aroma, vanilla buttercream fragrance, vanilla buttercream fragrance oil, vanilla buttercream scent, vanilla fragrances, vanilla scents, wholesale, wholesale fragrance oils, wholesale fragrances, wholesale scents on June 29, 2015 by Deborah Ward. A deliciously warm cake baking in the oven, homemade frosting waiting for its time to be added on top…mmm aren’t your taste buds just watering at the thought of a warm freshly baked cake? I bet you can just smell the mouth watering cake baking in the oven? And you know what my absolute favorite frosting flavor for cake is…vanilla buttercream of course! The delicious combination of moist cake topped with vanilla is just too yummy to resist. Our Vanilla Buttercream scent perfectly captures the aroma of that tantalizing frosting, and will fill your home with the scent of a cake baking in the oven that you just can’t wait to frost. What Does Vanilla Buttercream Smell Like? Vanilla Buttercream Scent by Nature’s Garden is the wonderful combination of Tahitian vanilla, butterum, and powdered sugar that are all whipped with sweet churned butter to create the most perfect decadent and fluffy delicious confection. 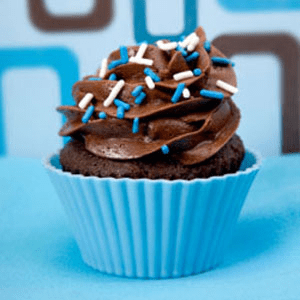 How Do Our Customers Use Vanilla Buttercream? Our Vanilla Buttercream scent is sure to make your home fill as you’ve just opened your own bakery, with the scent of delicious cakes waiting to be frosted in the oven! It will make all of your family and friends mouths water for a taste! For all of the candle makers out there, this scent is just what you’ve been looking for. It performs nice and strong in soy wax, as well as working perfectly in joy wax and wow wax. For all of the potpourri and incense makers out there our Vanilla Buttercream fragrance is just what you need! This fragrance has a maximum usage rate of 50%! You can easily fill your home with this tantalizing aroma by using this fragrance to create some nice and strong homemade aroma beads. 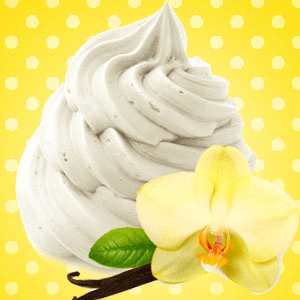 For bath and body products, our Vanilla Buttercream scent has a maximum usage rate of 5%. Some common bath and body products that can include this yummy smelling fragrance are soaps, bath oils, bath gels, lotions, and perfumes. This fragrance does have a vanillin content of 10.63%, meaning that it may tend to discolor your soaps and other homemade bath and body products. Just make sure to test it thoroughly before using it in your finished and final products, and be sure to use a Vanilla White Color Stabilizer to avoid any discoloration. Our cold process results are: there is separation and just some acceleration. It has a very nice vanilla scent, however it does discolor to a dark chocolate color. I’m sure you’re dying to get your hands on this wonderful vanilla scented fragrance as soon as you possibly can! Well, hold on just a minute because it gets even better! We offer many great free classes and recipes here at Nature’s Garden, and our free Vanilla Foaming Body Frosting recipe is actually made with our wonderful Vanilla Buttercream fragrance oil! Enjoy this amazing fragrance and keep watching for more fragrance fun! This entry was posted in bath and body, candle making supplies, Fragrance Oils, Natures Garden, Soap making supplies, Uncategorized, wholesale fragrance oils and tagged bakery fragrance, bakery scents, baking scents, bath and body, bath and body products, candle making, candle making supples, cinnabun fragrance, cinnabun fragrance oil, cinnabun melt and pour soap, cinnabun scent, cinnabun soap, cinnamon bun fragrance, cinnamon bun scent, cinnamon fragrance, cinnamon roll fragrance, cinnamon roll scent, cinnamon scent, food scents, fragrance, fragrance oils, free recipe, free soap recipe, homemade soap, how to make candles, how to make soap, making candles, making soap, melt and pour soap, mp soap, natures garden, smells like cinnabun rolls, smells like cinnamon, smells like cinnamon rolls, soap making, soap making supplies, soap recipes, soapmaking on June 19, 2015 by Deborah Ward. Mmm…do you smell that? The delicious scent of fresh sticky ooey-gooey cinnamon rolls baking in the oven? Isn’t your mouth starting to water just thinking about sinking your teeth right into one these freshly baked amazing treats, the taste of hot yummy frosting covering this amazing cinnamon flavored bun. Our Cinnabun fragrance perfectly captures the mouth watering aroma of these delicious treats and will leave you and your family wanting to make of them as soon as you possibly can. What Does Cinnabun Type Smell Like? Cinnabun Type Scent by Nature’s Garden is the tantalizing aroma of freshly baked cinnabun rolls that are covered in yummy mouth watering flowing streams of cream cheese icing! How Do Our Customers Use Cinnabun Type Fragrance Oil? If you’re looking for a fragrance that is sure to leave your mouth watering, then this is the one. Our Cinnabun fragrance is sure to fill your home with the aroma of these delicious treats and bring the feeling of being right inside the bakery while these are being baked fresh in the oven. For all the candle makers out there, this fragrance is just what you’ve always been looking for. Our Cinnabun fragrance works nice and strong in soy wax, as well as performing perfectly in joy wax and wow wax. For all of the incense and potpourri makers out there, this fragrance has a maximum usage rate of 50%. 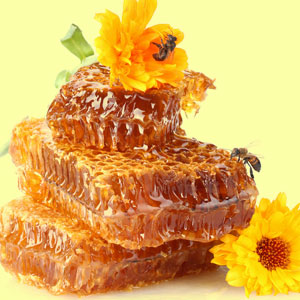 You can easily fill your home with the aroma of these amazing sticky treats by using this fragrance to create some nice and strong homemade aroma beads. 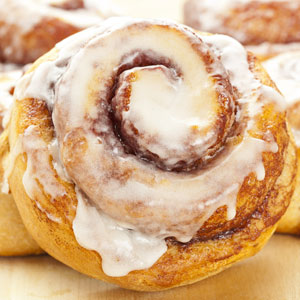 For bath and body products, our Cinnabun fragrance has a maximum usage rate of 5%. Some common bath and body products that can include this fragrance are lotions, bath oils, soaps, bath gels, and perfumes. This fragrance does happen to have a vanillin content of 5.01%, meaning that it may tend to discolor your soaps and other homemade bath and body products. Always make sure to test this scent thoroughly before using it in any of your final and finished products, and be sure to use a Vanilla White Color Stabilizer to avoid any discoloration problems! For all of the cold process soap makers out there, our Cinnabun fragrance oil is exactly what you always needed! Our cold process results are: there is no acceleration or ricing and this fragrance has a perfect pour! The soap does turn to a cinnamon brown color, but this scent is very strong and sticks very well! I’m sure you’re wondering how long it would take to get your hands on a delicious cinnamon roll as soon as you can, but hold on just a second! This bakery fragrance actually gets better! We offer many great free classes and recipes here at Nature’s Garden, and our Cinnabun Melt and Pour Soap is actually made with our amazing Cinnabun Type fragrance oil. How much more amazing can this fragrance get? Enjoy this wonderful scent, and keep watching for even more postings. This entry was posted in bath and body, candle making supplies, Fragrance Oils, Natures Garden, Soap making supplies, wholesale fragrance oils and tagged bath and body, bath and body products, bubble gum fragrance, bubble gum scent, bubble luscious fragrance, bubble luscious fragrance oil, bubble luscious scent, bubblegum fragrance, bubblegum scent, candle making, childhood fragrances, childhood scent, cold process soap, cp soap, Crafts, diy, fragrance, fragrance oils, free recipe, free soap recipe, homemade, homemade soap, how to make soap, making candles, making soap, melt and pour, mp embed cp soap, mp embed cp soap recipe, mp soap, natures garden, soap making, soap making supplies, soap recipes, wholesale, wholesale fragrance oils, wholesale fragrances, wholesale scents on June 18, 2015 by Deborah Ward. Our Bubble Luscious scent is one fragrance that will transport you right back to your childhood memories. 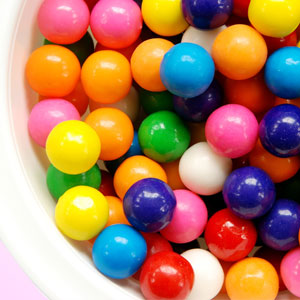 It is the aroma of a piece of yummy bubblegum,and will remind you of all of the fun times you had in the past just blowing bubbles with your friends. 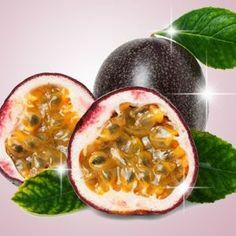 This is sure to be a scent that everyone you know will love, it will flow through your home and fill it with happiness. Our Bubble Luscious scent perfectly captures the aroma of a piece of newly-opened bubblegum just waiting to be devoured. What Does Bubble Luscious Smell Like? Bubble Luscious scent by Nature’s Garden will immediately bring you right back to childhood. You won’t be able to resist blowing bubbles with some fluffy, pink, luscious bubblegum! This wonderful fragrance begins with top notes citrus, strawberry and aldehydic effervescent notes that are followed by middle notes of clove and coconut. These are all sitting on a base of crisp vanilla. Bubble Luscious is a Nature’s Garden original fragrance! How Do Our Customers Use Bubble Luscious Fragrance Oil? If you’re looking for a fragrance that will make you just like a kid again, then you have definitely found it. This fragrance is the perfect representation of everything you loved as a child all wrapped up into one! For all the candle makers out there, our Bubble Luscious scent is absolutely perfect for you. It performs nice and strong in soy wax, as well as working perfectly in wow wax and joy wax. For all of the incense and potpourri makers out there, this fragrance is just what you’ve always needed. It has a maximum usage rate of 50%. You can easily fill your home with this amazing scent by using this fragrance to create some nice and strong homemade aroma beads. For bath and body products, our Bubble Luscious scent has a maximum usage rate of 5%. Some common bath and body products that can include this fragrance are perfumes, lotions, bath oils, bath gels, and soaps. 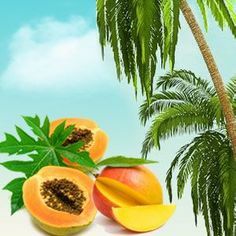 This fragrance does not have any vanillin content contained within it, meaning that it will not tend to discolor your soaps and other homemade bath and body products. For all of the cold process soap makers out there, this fragrance is exactly what you never knew you always needed. Our cold process results are: there is no discoloration problems, as well as no acceleration or ricing. This fragrance has a perfect pour, as well as a wonderful scent and is a very delicious aroma in cured soap. Are you overjoyed at the thought of getting your hands on this amazing childhood fragrance? Well hold on just a second, because this fragrance just keeps getting better and better! We offer many awesome free classes and recipes here at Nature’s Garden, and our free MP Embed CP Soap recipe is actually made with our Bubble Luscious Fragrance Oil. This is one unique recipe that you don’t want to miss out on. Please don’t hesitate to contact us here at Nature’s Garden with any thoughts, questions, or concerns and keep watching for even more fun fragrance ideas. This entry was posted in cold process soap, Cold Process Soap Testing, Fragrance Oils, Natures Garden, Natures Garden Videos, Soap making supplies and tagged cold process soap reicpe, cold process soap testing videos, cold process soaping, cp soap recipe, cp soap testing, cp soap testing videos, fragrance oils, fragrance oils for soap, fragrances in cold process soap, fragrances tested in cp soap, how are fragrances tested, how fragrance discolors soap, how fragrance oils perform in soap, how scents discolor soap, making soap, natures garden, Natures Garden videos, scents for soap, scents in cold process soap, soap making, soap making recipe, soap making supplies, soap recipes, soap scents, soap supplies, soap testing at natures garden, soap tests, soap videos, soaping natures garden fragrance, soaping supplies, soaping videos on June 17, 2015 by Deborah Ward. Here at Natures Garden we realize that choosing the most perfect fragrance oil for cold process soap can be quite challenging. Well, we have the solution. We recently decided to begin retesting each of our more than 800 fragrance oils! Over the years we have had multiple people testing the fragrances which might mean multiple result interpretations. In addition, we have masterbatched to test the soap scents. This time around, we have decided to test each of our fragrance oils individually, giving each scent its very own batch. We also have Bailey testing each scent and guess what….we’re taking videos the entire time! This means not only will you be able to read the results, but you can actually see it with your own eyes. There will be no more guessing how much time you will have to work. Have you ever wondered what exactly is a light tan or dark beige? Well, no more guessing on our interpretation of the final discoloration. We show you all of this right in a cold process soap testing video. How cool is that?!? Now, let me explain the process and recipe we are using to create these wonderful cold process soap testing videos. Let’s start with our recipe. Here is our process. We are allowing our lye solution to cool to about 100 degrees. Then, we incorporate our sodium lactate. Once that is done, we go ahead and combine our lye solution and oils. 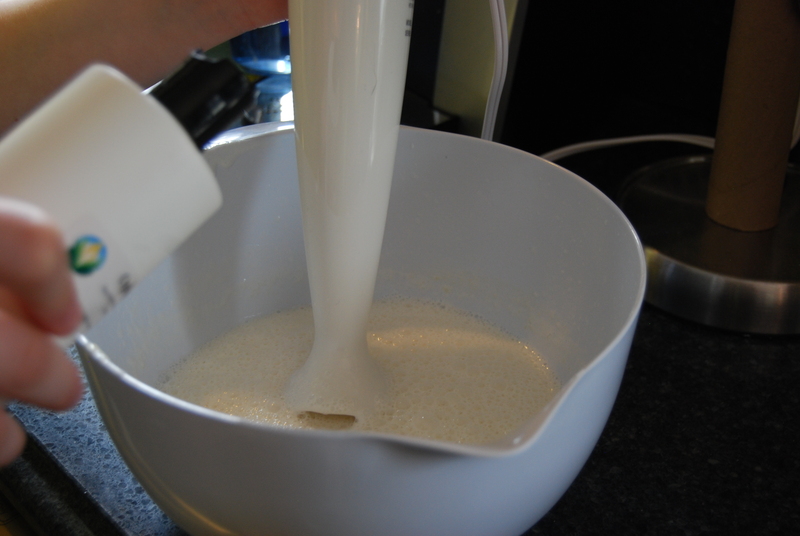 We use a stick blender to emulsify the batter. The fragrance is incorporated and we observe any ricing or acceleration. The soap batter is then poured into one of our Silicone 6 Cavity Flower Mold at trace. After about 24 hours we remove the soaps from the molds and allow them to cure. Once the soap has cured, we note any discoloration. Next, comes the fun part…putting the video together! You will see in these videos Bailey has tested the fragrance especially for you, our customers. We felt it was important so you could see exactly what the fragrance did in cp soap from beginning right to the end. This will give you a better idea of how much time you will have to work….or how much FUN can you have with the scent! We will also show you what the final soap looks like after cure. You can see just how the soap discolored. Are you wondering just where you can find these videos??? 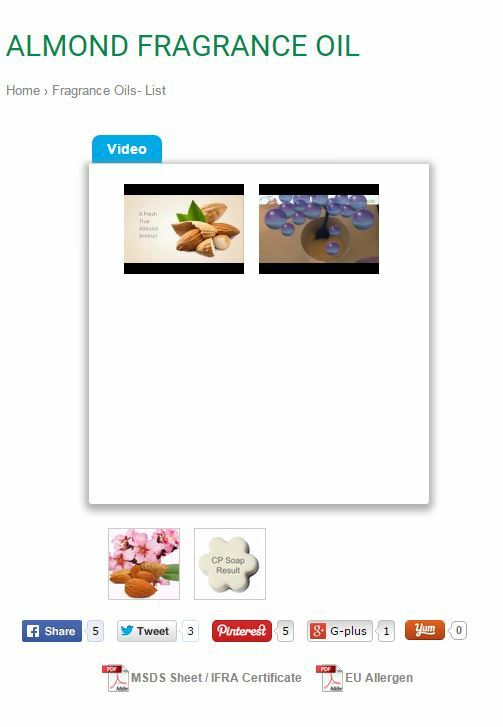 Well, once a video is completed for a fragrance, it is added right to the website, on the page for that scent. 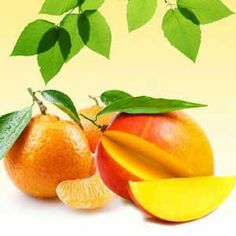 This way you will be able to see the fragrance oil’s performance as you are shopping. 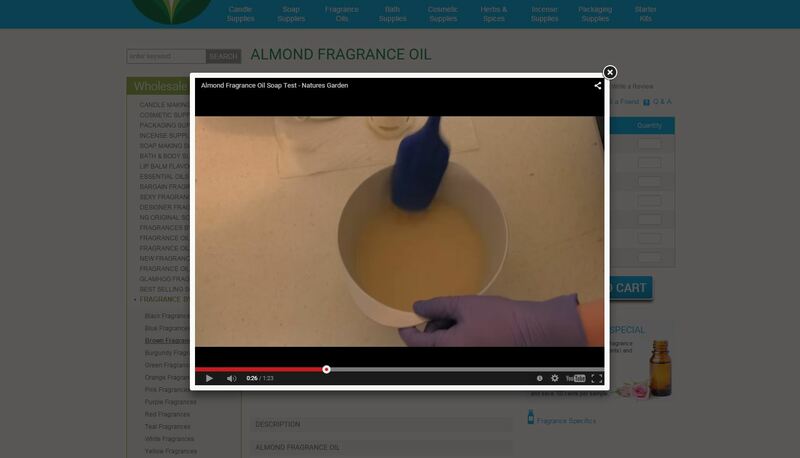 We already have a video added for our Almond Fragrance Oil. We will use this scent for an example. You will not only see a picture on this page of the finished CP soap discoloration, but notice the blue tab right above the picture that says “Video”? Click on that tab. 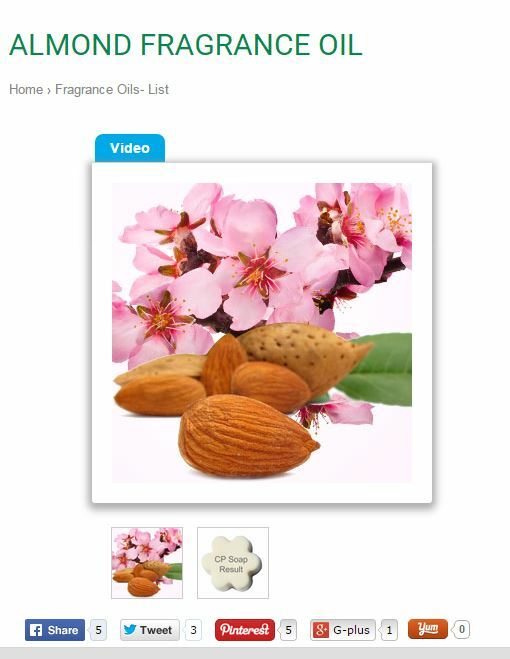 Clicking on the tab will bring up videos related to our Almond Fragrance Oil. You will notice two videos on this particular scent. One is our video describing the fragrance oil (you should totally watch that one as well…it’s awesome too!). The other video is the one we are will be focusing on today. It show you how the fragrance performs in soap. Click on the second video. You will then see the video pop up and be able to watch it. We already have many videos posted and many more to come. If you don’t see a video for the fragrance you are looking for, make sure you check back often as we are adding new videos each day. 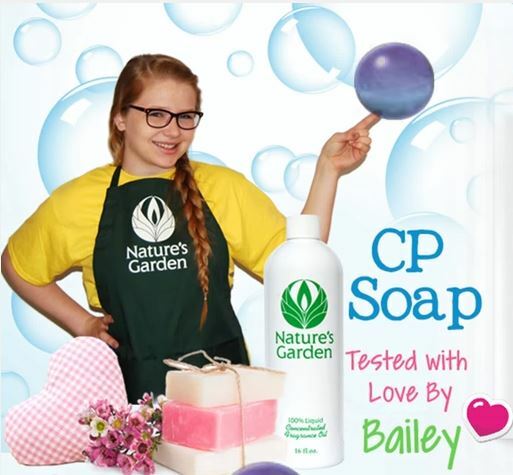 Bailey is working very hard to get each Nature’s Garden scent tested again in CP soap just for you. Our hope is that these cold process soap testing videos will make your shopping experience much easier. 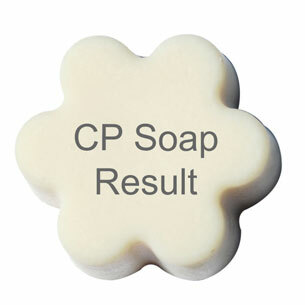 We hope that you enjoy these cp soap testing videos. Make sure you stay tuned for more fragrance fun! This entry was posted in bath and body, candle making supplies, Fragrance Oils, Natures Garden, Soap making supplies, wholesale fragrance oils and tagged candle making, candle making supplies, Crafts, diy, food fragrances, food scents, fragrance, fragrance oils, homemade, homemade candles, homemade soap, how to make candles, how to make soap, how to use mexican fried ice cream fragrance, ice cream scents, making candles, making soaps, mexican fried ice cream, mexican fried ice cream fragrance, mexican fried ice cream fragrance oil, mexican fried ice cream scent, natures garden, smells like mexican food, soap making, soap making supplies, what can i make with mexican fried ice cream fragrance, wholesale, wholesale fragrances, wholesale scents on June 16, 2015 by Deborah Ward. Whenever anyone mentions going out for Mexican food, what’s the first item you think of? Perhaps it’s tacos, rice, maybe margaritas. What about a delicious huge bowl of Mexican fried ice cream? If you’re like me, you just love the mouth watering combination of ice cold creamy vanilla ice cream with that hard crispy crunch. 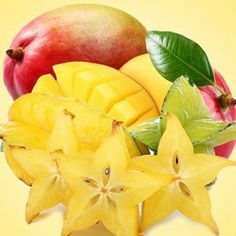 It’s such a wonderful dessert, and one that just the scent alone is sure to make your mouth water. 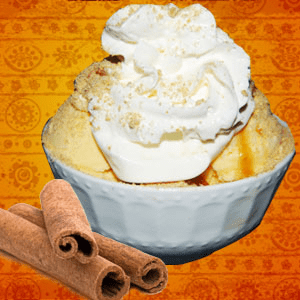 Our Mexican Fried Ice Cream scent perfectly captures the tantalizing aroma of this delicious treat, and is sure to make you crave the taste of one. What Does Mexican Fried Ice Cream Smell Like? Mexican Fried Ice Cream Scent by Nature’s Garden is a yummy accord of creamy vanilla bean topped with rich and buttery whipped cream. It has hints of grated cinnamon and toasted nut that work to tease the senses as a base of wonderfully melted marshmallows brings this fragrance to a sweet finish. How Do Our Customers Use Mexican Fried Ice Cream Fragrance Oil? Our Mexican Fried Ice Cream scent is one that you won’t be able to resist. You’ll feel as if you’ve just been transported right into a beautiful Mexican restaurant with a big bowl of fried ice cream right in front of you just waiting to be devoured. For all of the candle makers out there, this mouth watering fragrance is absolutely perfect for you. It works nice and strong in soy wax, as well as performing perfectly in joy wax and wow wax. You can easily fill your home with this yummy aroma by using this fragrance to create some nice and strong homemade aroma beads. For all of the incense and potpourri makers out there, this scent is just what you need for your new projects. It has a maximum usage rate of 50%. For bath and body products, our Mexican Fried Ice Cream scent has a maximum usage rate of 5%. Some common bath and body products that can include this amazing scent are perfumes, lotions, bath gels, soaps, and bath oils. This fragrance does happen to contain a vanillin content of 3%, meaning that it may tend to discolor your soaps and other homemade bath and body products. Make sure to test this fragrance thoroughly before using it in any of your finished and final products. Also be sure to use a Vanilla White Color Stabilizer to avoid any discoloration problems. For all of the cold process soap makers out there, our Mexican Fried Ice Cream fragrance is just what you’ve been looking for. Our cold process results are: there is no acceleration or ricing, and this fragrance has a perfect pour. However, it does discolor to a caramel color. I’m sure you’re anxious to get your hands on this mouth watering scent as soon as you possibly can. But make sure to check out all of our free classes and recipes we offer here at Nature’s Garden. Please enjoy this amazing fragrance and keep watching for more fragrance fun postings. This entry was posted in bath and body, candle making supplies, Fragrance Oils, Natures Garden, Soap making supplies, wholesale fragrance oils and tagged bath and body, bath and body products, candle making, candle making supplies, cola fragrance, cola fragrance oil, cola scent, Crafts, diy, fragrance, fragrance oils, homemade, how can i use cola fragrance, how to make candles, how to make soap, how to use cola fragrance, making candles, making soap, natures garden, scent of coca cola, smell of cola, smells like coca cola, smells like cola, soap making, soap making supplies, wholesale, wholesale fragrance oils, wholesale fragrances, wholesale scents on June 9, 2015 by Deborah Ward. Our Cola Fragrance is everything you could ever think it could be. It is everything you’ve always wanted and more! With this fragrance flowing throughout your home, it will make your friends and family feel as if they’re out and about on an adventure. 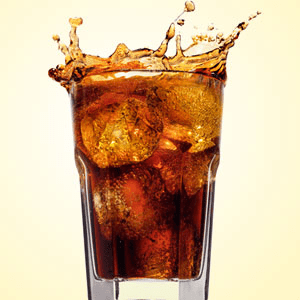 Just the aroma of a delicious cold glass of ice cold cola is enough to make anyone’s day better! Our Cola scent perfectly captures the aroma of this delicious favorite soft drink. When you choose to use this fragrance for your projects, you will be unstoppable. What Does Cola Smell Like? Cola Scent by Nature’s Garden is the aroma of an ice cold carbonated glass of coca cola. You will actually be able to smell the carbonation contained within this fragrance. How Do Our Customers Use Cola Fragrance Oil? Our Cola fragrance is the perfect scent to have around the house for a hot sticky summer day. It will make you feel as cool as if you had a glass of cold coca cola right in your hands. It will fill your senses with the aroma of favorite beverage, and is sure to be a fragrance you won’t be able to turn down! For all of the candle makers out there, our Cola scent is just what you’ve been looking for. For all of the potpourri and incense makers out there, this wonderful fragrance has a maximum usage rate of 50%. You can easily fill your home with this satisfying aroma by using this fragrance to create some nice and strong homemade aroma beads. For bath and body products, our Cola fragrance oil has a maximum usage rate of 1.1%. Some common bath and body products that can include this amazing scent are bath oils, soaps, lotions, bath gels, and perfumes. There is no vanillin content contained within this fragrance, meaning that it should tend to discolor your soaps and other homemade bath and body products. For all of the cold process soap makers out there, our Cola scent is just what you need! Our cold process results are: there is no acceleration or ricing, and this fragrance has an absolutely perfect pour! It has no discoloration problems and the scent is just great! 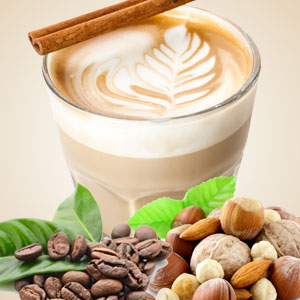 How could you not want to fill your home with the aroma of this amazing drink? And guess what? We also have a Mr. Pepper MD fragrance, which rivals the scent of the actual Dr. Pepper. With both of these fragrance flowing through your house, your home is sure to be one that no can resist. Are you dying to get your hands on these wonderful scents as soon as you possibly can? Well, before you go, make sure to check out all of our awesome free classes and recipes as well. You’re sure to come across some that you’ll absolutely adore. Please don’t hesitate to contact us here at Nature’s Garden if you have any thoughts, questions, or concerns. 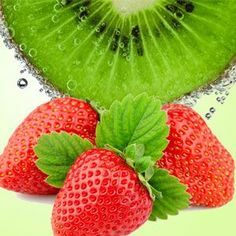 This entry was posted in Uncategorized and tagged all natural lotion, bath and body recipes, body lotion recipe, bronzing lotion, cosmetic recipes, fragrance oils, free craft projects, free craft recipes, free lotion recipe, homemade bronzer, homemade lotion recipe, how do i make lotion, how to make a bronzer, how to make body lotion, how to make bronzing lotion, how to make lotion, how to make natural lotion, how to make scented lotion, lotion ingredients, lotion making, lotion making supplies, lotion recipes, lotion recipes with shea butter, lotion that smells like suntan oil, lotion with a bronzer, lotion with cocoa powder how to make lotion shimmer, make my own lotion, make your own bronzer, make your own lotion, natural lotion ingredients, natures garden, Shimmering bronzer lotion, shimmering lotion recipe, summer lotion recipes, sun you buns scent, sun your buns fragrance oil, tanning lotion, what is in lotion on June 4, 2015 by Deborah Ward. Do you desire a soft, sun-kissed glow for your skin without spending innumerous hours sunbathing? 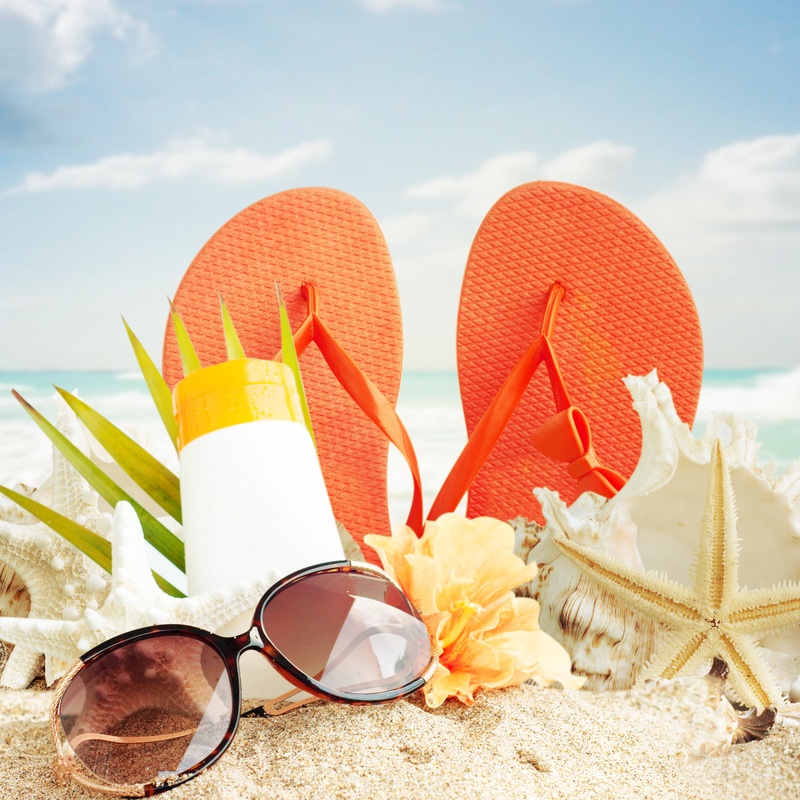 If so, then our shimmering bronzer lotion recipe may be just what you’ve been looking for. We’ve included ingredients such as cocoa power and mica to create an natural bronzing lotion that is soft and shines. Not only can you obtain a light summer glow, but a touch of sparkle as well. Begin by getting your work area ready. You will want to clean and sanitize your area and all of your packaging supplies. 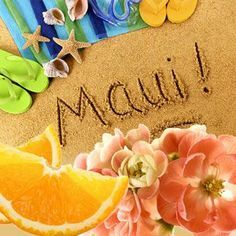 We also suggest that you wear you’re a hair net, gloves, and protective clothing while preparing this shimmering bronzing lotion recipe. First prepare your water. Some water will evaporate during this process. For this reason you will want plenty of extra water. You will need to have 425 grams of distilled water when you make the lotion. Heat the water to at least 180 degrees Fahrenheit. Once you water reaches this temperature, keep it there for at least 20 minutes. Doing this will destroy any bacteria that is in the water. 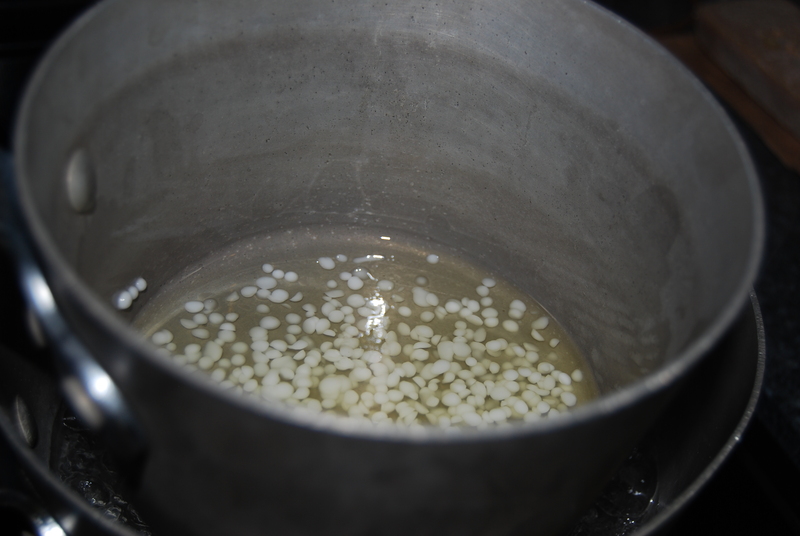 After 20 minutes has passed, remove the water from the stove top and use a scale to weigh out 425 grams. To the bowl containing the water add 8 grams of Sodium Lactate. 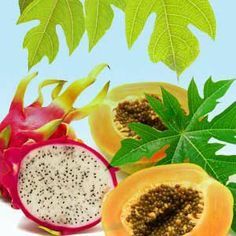 Once added, mix well to combine the sodium lactate and water. Set this mixture aside for the moment, you will need it a bit later. 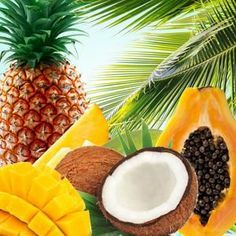 Now, in a separate pot, weigh out 30 grams of the Fractionated Coconut Oil, 28 grams of the Sweet Almond Oil, 28 grams of the BTMS, 5 grams of the Golden Natural Cocoa Butter, 5 grams of Unrefined Shea Butter, 6 grams of Vitamin E. Melt these ingredients using a double boiler. Once the oils are melted and the temperature has reached around 140 degrees Fahrenheit, work quickly to add 14 grams of Natures Garden’s Sun Your Buns fragrance oil, 10 grams of Cocoa Powder Organic, and 5 grams of our 24K Gold Mica. You will once again need to move quickly for this next part. You want to be certain that the oils and butters are both around 140 degrees Fahrenheit. If they are not around the same temperature they may not emulsify. 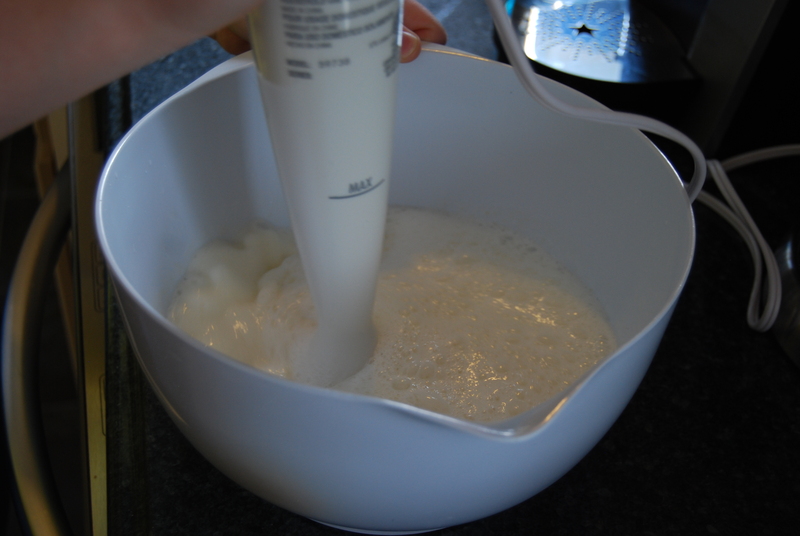 Using a large mixing bowl, combine the oil mixture and the water mixture. Using a stick blender, begin mixing. When the mixture has reached 120 degrees Fahrenheit, add the optiphen preservative. Again the temperature is very important. If you add the preservative when the temperature is too hot, it will burn off. However, if the temperature is too low, it will separate out of the lotion. So, at 120 degrees Fahrenheit, add 10 grams of the Optiphen preservative. Once again, use a stick blender to fully incorporate the Optiphen. Finally, let your bronzing lotion cool to room temperature and then place it into your white PET bottles and place a white pump on top. With summer on the horizon, this is perfect for anyone looking for a light golden glow. This shimmering bronzer lotion recipe is perfect for a shimmer and bronze glow without sunbathing. We hope you enjoy making this recipe just as much as you enjoy using it. For even more fragrance fun visit all of our free craft recipes! 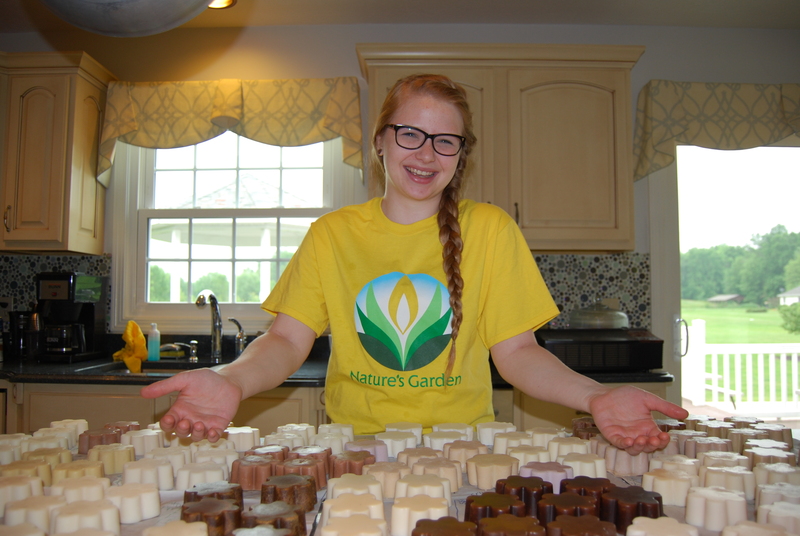 Keep watching for even more creative soap and candle making ideas.